I got a tent for my birthday this year, so there's no way H can convince me that we should return it and wait for a better deal, because it's mine. 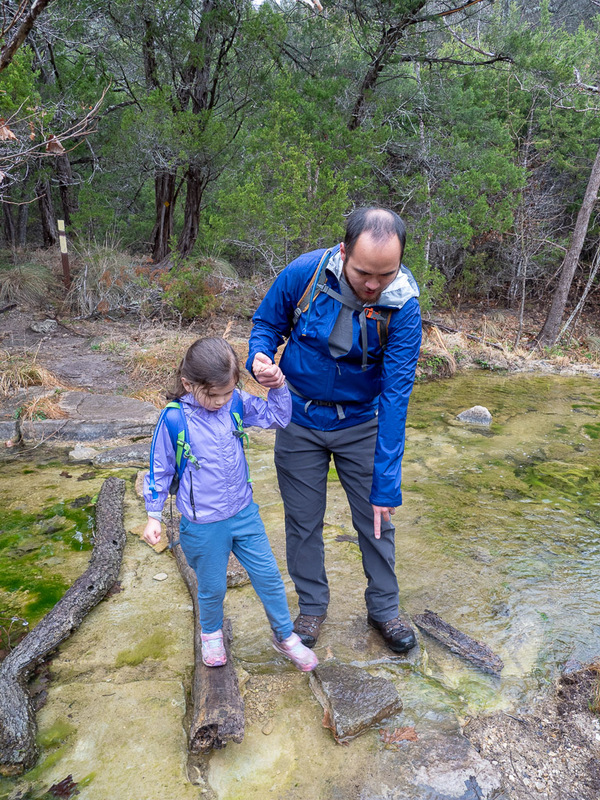 So, we went to Colorado Bend State Park for a few days and enjoyed the big outdoors. Wow, it was amazing! I really wanted to go to the Smoky Mountains this year, but (as per previous post) we were trying to be less tired on our trip. So we picked a State Park, and although I have to say it was obviously no Big Bend, it was a lot better than I expected! We asked a park ranger to recommend some hikes, and then we went on the one he said was his favorite. I guess we should've realized that for a hike to be the ranger's favorite, it must be a little hard. It was only four miles or so, so it seemed like it couldn't be that bad. Anyway, we found out much too late that there were A LOT of stream crossings. Like maybe eight. 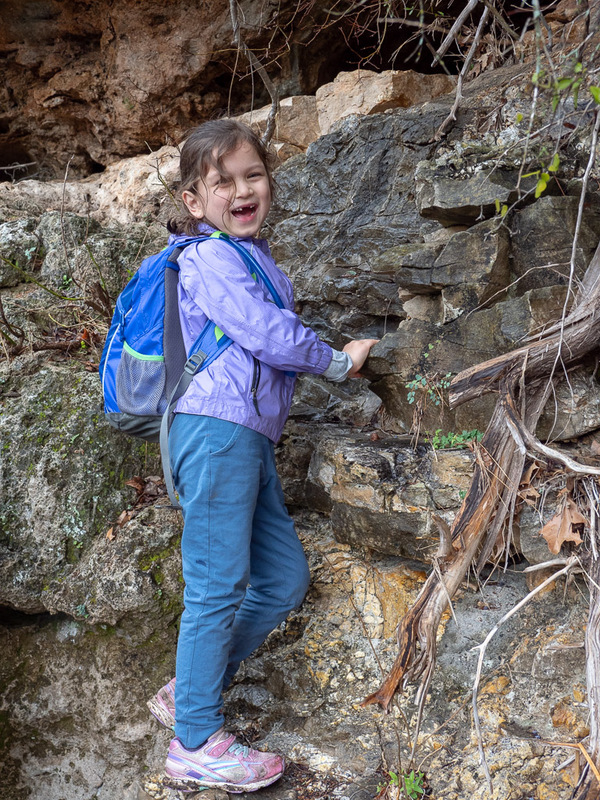 AAAAAND M outgrew her hiking shoes, and we didn't check into that until we were there, so she had no waterproof shoes. I mean, we were fine, but I think it might've been nice to know that was coming. By the end of the hike, both H and I had wet feet. Although I managed to only misstep one foot into the calf-deep stream. So I only had one wet foot. The kids loved that hike though, especially because they got carried over the stream every time. And there were some rocky parts where they got to feel like they were rock climbing. So it was a great hike! But a little harder than we were going for. 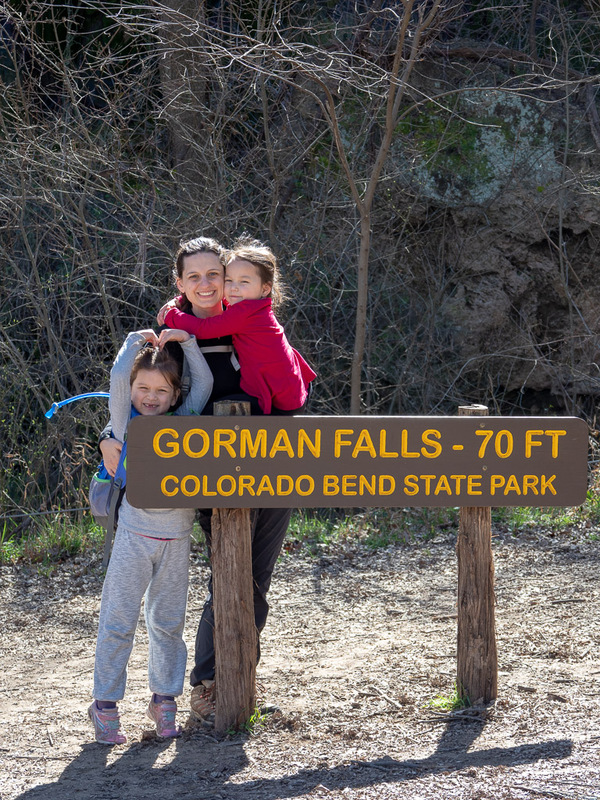 We also did the most popular hike in the park, which is Gorman Falls. It was also great! Much easier than we expected, which is probably because it's the most popular, so there are a lot of non-hikers writing Yelp reviews about it. But we really enjoyed all our hiking! But the best thing about it was that the weather was not great. (You read that right.) It was cloudy and a little cold the whole first two days we were there, which meant that not a lot of other people were there. 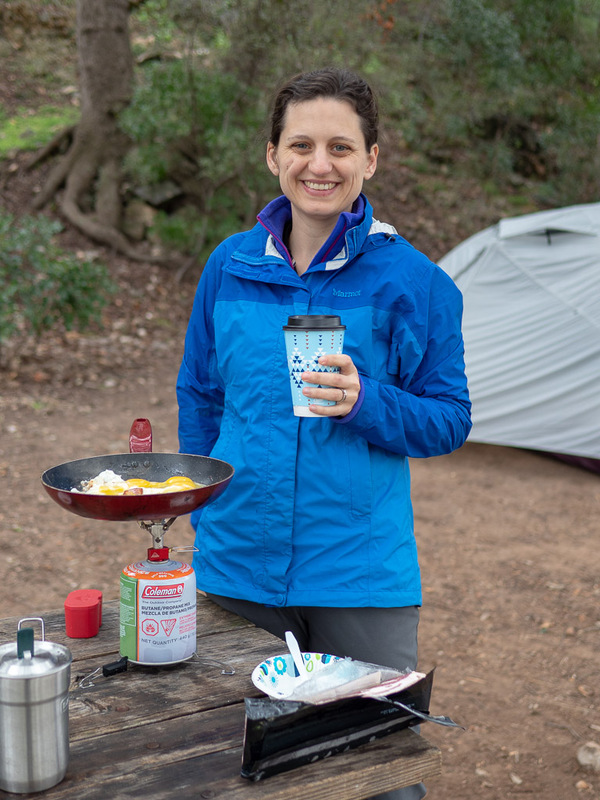 In our forty-site campground, there was only one other person! Of course, it was much nicer when it warmed up and got sunny the third day, but it got a lot more crowded. So we enjoyed the solitude while we had it! However, when we saw that the forecast for the third night said it was supposed to get below freezing, we decided we'd rather not do that and we left that afternoon instead of the next morning. But it was a great camping trip! And it was nice that it was "easier" to plan compared to Big Bend, which was four nights and took a lot of driving. I think our kids are really becoming little campers!